The very idea of Roland Emmerich making a movie about the authorship of Shakespeare’s plays is enough to spark laughter, but the end result is a handsomely staged period piece. For those not familiar with the Shakespeare authorship question, it goes a little something like this: how could a man who didn’t go to Oxford or Cambridge write some of the greatest works of literature of all time? Throw in the fact that little is known about certain aspects of his life and you have a vacuum into which a well-oiled conspiracy can grow, the principal one being that the Earl of Oxford wrote the plays, which this film uses as a dramatic device. For me, this has always been the literary equivalent of the people who think Paul McCartney died in 1967 or that the US government was somehow involved in 9/11. But like those ideas it has an alarmingly large number of supporters, including Mark Twain, Sigmund Freud and even actors like Derek Jacobi and Mark Rylance, who both have small roles in this film. Although not an expert on the period, I have yet to see any compelling evidence that proves Shakespeare didn’t write the works attributed to him and tend to trust scholars such as Stanley Wells, Stephen Greenblatt and Jonathan Bate, who have written and spoken at length about how the man from Stratford did actually write the famous plays and poems. Which brings us to Roland Emmerich’s new film, which arrived in UK and US cinemas this weekend amidst a predictable blizzard of stories about the ‘controversy’ surrounding this film with several critics scoffing loudly at it. In fact Sony Pictures seemed to have staged a deeply misguided marketing campaign, baiting those upset with the premise of the film. As of this weekend it hasn’t worked as early tracking suggests younger audiences have more problem with the ambitious jigsaw puzzle script than they do with the authorship question. This has meant that they have scaled back the release of the film and their hopes of award season success seem limited to the technical categories. 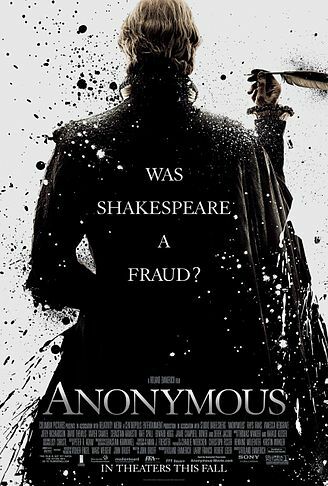 All of this is a shame because Anonymous is a highly accomplished film, even if the phony debate surrounding it leaves a lot to be desired. How did a project like this come about? It goes back to the script John Orloff first wrote in the 1990s, which was originally shelved because of the success of Shakespeare in Love and later postponed in 2005 when Emmerich was going to direct it. By this point he had earned enough money for the studio system with his apocalyptic blockbusters – Indpendence Day (1996), The Day After Tomorrow (2004) and 2012 (2009) – to attempt a pet project like this. He’d always been an admirer of the script, which cleverly fuses Elizabethan literary and political conspiracies, whilst simultaneously reflecting very Shakespearean themes such as appearence and reality, the passage of time and the realities of power. Opening with a modern day prologue (like Henry V) which takes the premise that Shakespeare was a fraud, it employs an ambitious flashback structure that goes between the succession crisis at the end of the Elizabethan era and the earlier events which led to the creation of plays which reflected both the politics of the time and would burn brightly for centuries to come. Although it is hard to describe the narrative without venturing into major spoiler territory, but it revolves around Edward de Vere, 17th Earl of Oxford (Rhys Ifans) and the conceit that he not only wrote the plays of Shakespeare, but did so as part of an elaborate political conspiracy involving Elizabeth I (Vanessa Redgrave), playwright Ben Jonson (Sebastian Armesto) and Robert Devereux, 2nd Earl of Essex (Sebastian Reid). It is vital to remember that like Oliver Stone’s JFK (1991) and Shakespeare’s play Richard III, this is a version of history, which plays around with history for dramatic effect and further discussion. Forget the provocative device that the movie has been sold on and enjoy the way in which it weaves the subjects and themes of Shakespeare into an Elizabethan conspiracy thriller. The way in which elements of Shakespeare’s plays are woven into the material is masterful – Henry V, A Midsummer Night’s Dream and Hamlet are just some of the plays that are referenced throughout, leading up to a climax which makes you want to watch the story all over again. For those curious about Emmerich’s involvement, he manages to use his considerable technical skills as a big budget director to help shape a stunning depiction of Elizabethan England. The production design, costumes and visual effects work wonders in creating a believable world – probably the best ever recreation of this period – even though the events which happen in it are wildly speculative. It is this duality which makes Anonymous interesting – a film which uses the latest filmmaking technology is also an engaging depiction of the power of words in both politics and art. 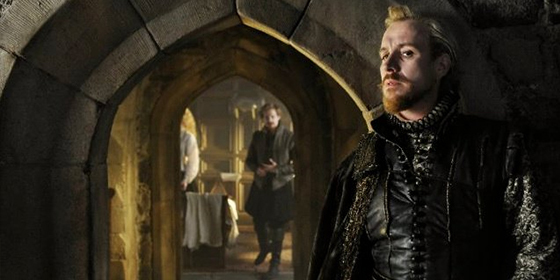 There is also some stellar acting going on, most notably Rhys Ifans in the main role. After a wildly fluctuating career, he gives a performance of great depth and power, which is as welcome as it is surprising. In supporting roles there is the neat trick of casting the mother and daughter team of Redgrave and Joely Richardson as Elizabeth I (both are excellent) and other reliable British thespians like David Thewlis in key roles. The major flaw in terms of the characters is (ironically) the presentation of Shakespeare (Rafe Spall) as a total dolt, which is a failed attempt to position him in the traditional fool role – although any student of the plays knows it is often the fools who provide the insight and wisdom. As for the failed joke in the otherwise excellent script about actors and playwrights, it didn’t prevent actors like Moliere and Pinter from becoming decent writers. However, the presentation of the plays within the film is excellent – if a little inaccurate – and is probably the most advanced recreation of the Globe Theatre on film, showing how the audience were an important part of the experience (which also mirrors the political importance of the stage at the time). The digital visuals by cinematographer Anna J. Foerster look incredible, with the darker candlelit interiors captured with amazing depth and clarity. Shot on Arri’s (relatively) new Alexa camera, some scenes may be used as a benchmark test for what can be achieved using modern digital cameras. For Emmerich this may be a glorious one-off before he goes back to the blockbuster realm – so good in fact, that future audiences might think he didn’t actually direct it. The winners have been announced at this year’s London Film Festival Awards. SUTHERLAND AWARD WINNER: Pablo Giorgelli, director of Las Acacias. The award is co-presented with the Grierson Trust (in commemoration of John Grierson, the grandfather of British documentary) and recognises outstanding feature length documentaries of integrity, originality, technical excellence or cultural significance. The jury this year was chaired by Adam Curtis. Jurors present at the ceremony included: Best Film jurors John Madden, Andrew O’Hagan. Gillian Anderson, Asif Kapadia, Tracey Seaward and Sam Taylor-Wood OBE; Sutherland jurors Tim Robey, Joanna Hogg, Saskia Reeves, Peter Kosminsky, Hugo Grumbar, and the artist Phil Collins. Best British Newcomer jurors Anne-Marie Duff, Tom Hollander, Edith Bowman, Stephen Woolley and Nik Powell; and Grierson Award jurors Mandy Chang of the Grierson Trust, Charlotte Moore, Head of Documentary Commissioning at BBC, Kim Longinotto and Adam Curtis. 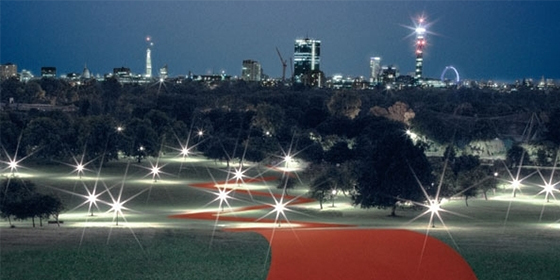 The London Film Festival announced its 2011 lineup today with the usual mix of British premieres and acclaimed films from the festival circuit. Running from October 12th-27th, it opens with Fernando Meirelles’ 360 and closes with Terence Davies’ The Deep Blue Sea. One of the advantages of the festival is that it usually cherry picks the most buzzed about titles from the year’s major festivals such as Sundance, Berlin, Cannes, Venice, Telluride and Toronto. This means that although there isn’t usually the kind of excitement that surrounds a world premiere (such as The Tree of Life in Cannes this year), it can act as a useful filter for the festival hits and misses that year. After scouring through the schedule here are those I’m most interesting in seeing this year, divided up into Absolute Must Sees, Definitely Worth Checking Out and Mildly Intrigued. Shame (Dir. Steve McQueen): The director’s follow up to Hunger (2008) is the study of a thirty something man (Michael Fassbender) in New York with an unhealthy sexual compulsion who is visited by his sister (Carey Mulligan). Reviews out of Venice and Telluride were very strong and given that his debut was one of the best films of the last decade, cinephiles will be eagerly awaiting this. The Artist (Dir. Michel Hazanavicius): This love letter to the days of silent cinema was (along with The Tree of Life) the most buzzed about film at Cannes this year. Set in 1927, it depicts a movie star (Jean Dujardin) threatened by the advent of talkies and the actress (Bérénice Bejo) he has recently discovered. Likely to be the first Oscar contender in years to be shot in black and white and feature minimal dialogue. With The Weinstein Company releasing in the US, parallels to The King’s Speech are not far off the mark (i.e. heartfelt, old fashioned film storms in from leftfield to become a critical and commercial hit). Into the Abyss: A Tale of Death, A Tale of Life (Dir. Werner Herzog): A Herzog documentary is automatically an event but when the German auteur explores violence and capital punishment through interviews with Death Row inmates, it automatically becomes a must-see. Raves at Telluride already suggest something special. 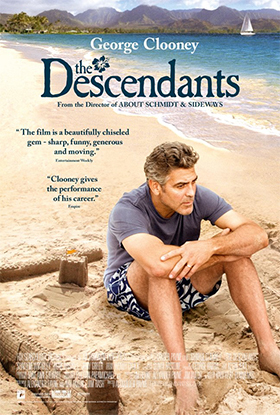 The Descendants (Dir. 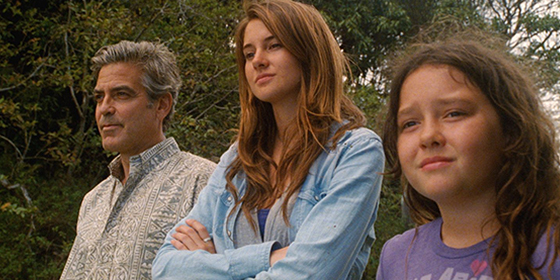 Alexander Payne): Payne’s first feature since Sideways (2004) is a comedy-drama about a father (George Clooney) living in Hawaii who is forced to cope with unexpected family issues. Strong reviews out of Telluride would suggest this is already an early Oscar frontrunner. Alps (Dir. Yorgos Lanthimos): The second feature from the director of the remarkable arthouse hit Dogtooth (2009) has attracted raves out of Venice, although some reccommend that you should know as little about it as possible. Intrigued? Me too. Michael (Dir. Markus Schleinzer): Austrian film about a mysterious 35 year old man and his relationship with a ten year old boy. The tough subject matter – which seems to be inspired by real life cases in Austria – will make this a tough sell for even the arthouse audiences, but it has already drawn high praise after its debut in Cannes. Martha Marcy May Marlene (Dir. Sean Durkin): One of the most buzzed about films at Sundance deals with a seemingly pleasant commune in the Catskills, which slowly reveals a different side. Starring Elizabeth Olsen, Brady Corbet and Hugh Dancy it is likely to send urban tastemakers into fits of cultural rapture. Snowtown (Dir. Justin Kurzel): Australian serial killer drama that freaked some audiences out at Cannes back in May. The film adaptation of Australia’s most notorious serial killer case has been described as ‘horrific’ and ‘incredible’. It even topped a Cannes 2011 Abuse Checklist, which this year is really saying something. The Ides of March (Dir. George Clooney): The ‘other’ Clooney film at the festival (shades of 2009?) is an adaptation of Farragut North, the play which was loosely based on Howard Dean‘s 2004 presidential campaign. Starring Ryan Gosling as an ambitious press spokesman for a Democratic candidate (Clooney), it boasts an impressive supporting cast (Philip Seymour Hoffman, Paul Giamatti) and reviews out of Venice were (mostly) solid. Like Crazy (Dir. Drake Doremus): The winner of the Grand Jury Prize at Sundance was this tale of a young couple (Anton Yelchin and Felicity Jones) who find themselves stuck on opposite sides of the Atlantic. Quickly acquired by Paramount after wowing critics and buyers in Utah, agents and casting directors are already obsessed with Felicity Jones and the studio have big expectations for this. The use of a Twitter hashtag in the trailer suggests they already think it will tap into the zeitgeist. Anonymous (Dir. Roland Emmerich): This might seem like the strangest film project in years as the director of apocalyptic blockbusters uses the Shakespeare authorship question to explore political intrigue in Elizabethan England. I’ve already seen it (but can’t talk about it yet as there is a review embargo) but it may surprise people when it debuts in Toronto and London. The Deep Blue Sea (Dir. Terence Davies): The fact that Davis has actually been given money to make a film is cause for celebration, but an adaptation of Terence Rattigan’s play makes for added excitement. A tale of relationship problems in the 1950s, the combination of Davies, Rattigan and two fine leads (Rachel Weisz and Simon Russell Beale) could make for something interesting. Coriolanus (Dir. Ralph Fiennes): The directorial debut of Fiennes is a modern day update of Shakespeare’s rarely filmed play and stars Gerard Butler, Brian Cox, Jessica Chastain and Vanessa Redgrave. Film fans may be excited about the presence of cinematographer Barry Ackroyd (who shot The Hurt Locker and United 93). Wuthering Heights (Dir. Andrea Arnold): In a year which has seen another Bronte adaptation (Cary Fukanaga’s Jane Eyre), director Andrea Arnold takes on this novel with what promises to be a radical adaptation. After the richley deserved acclaim of Fish Tank (2009) it will be interesting to see Arnold tackle the realm of corsets and country houses. Trishna (Dir. Michael Winterbottom): Winterbottom can be a bit hit-or-miss but he’s undeniably one of the most prolific andtalented directors of his generation. Here he returns to Thomas Hardy – after Jude (1996) – for an ambitious adaptation of Tess of the d’Urbervilles which is set in modern day India with Freida Pinto in the lead role. This Must Be the Place (Dir. Paolo Sorrentino): Although reviews were mixed out of Cannes this story of a retired rock star (Sean Penn) on a road trip across the USA has must-see value for both the star (in what seems a strange role even for him) and the director, who made the modern classic Il Divo (2008). 360 (Dir. Fernando Meirelles): His last film – Blindness (2008) – was a bit underwhelming but this is one of the few world premieres at the festival. Boasting a stellar cast (Jude Law, Rachel Weisz and Anthony Hopkins) and a screenplay by Peter Morgan, it is modern update of Arthur Schnitzlerís play La Ronde. We Need To Talk About Kevin (Dir. Lynne Ramsay, 1999): Adapted from Lionel Shriver’s novel this sees Ramsay’s long-awaited return to the big screen after Ratcatcher (1999) and Morvern Callar (2002). The story of an American woman (Tilda Swinton), with a rather troublesome teenage son (Ezra Miller) probes into some dark areas and got mostly positive reviews out of Cannes. 50/50 (Dir. Jonathan Levine): The story of a writer coping with cancer (inspired by screenwriter Will Reiser’s own experiences) this stars Joseph Gordon-Levitt in the lead role and features a strong supporting cast which includes Seth Rogen, Anna Kendrick, Anjelica Huston and Philip Baker Hall. Dark Horse (Dir. Todd Solondz): Solondz may have recovered from a mid-career dip with this dark comedy about two dysfunctional thirtysomethings (Jordan Gelber and Selma Blair) planning to marry. Solid supporting cast includes Mia Farrow and Christopher Walken. Any others you are looking forward to?